Membership Fee: $25.00 per person per calendar year or part there-of. 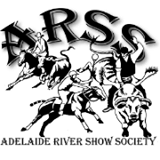 Outside of annual events, Adelaide River Show Society functions as a Club offering full bar & kitchen service delivered primarily by local volunteers. Non-members may sign in and are allowed entry on 3 occasions before having to become a Member. For those who are only staying a short while in the area, we offer a “Half-ARSS” membership for $5 per month (max. of 3 months).